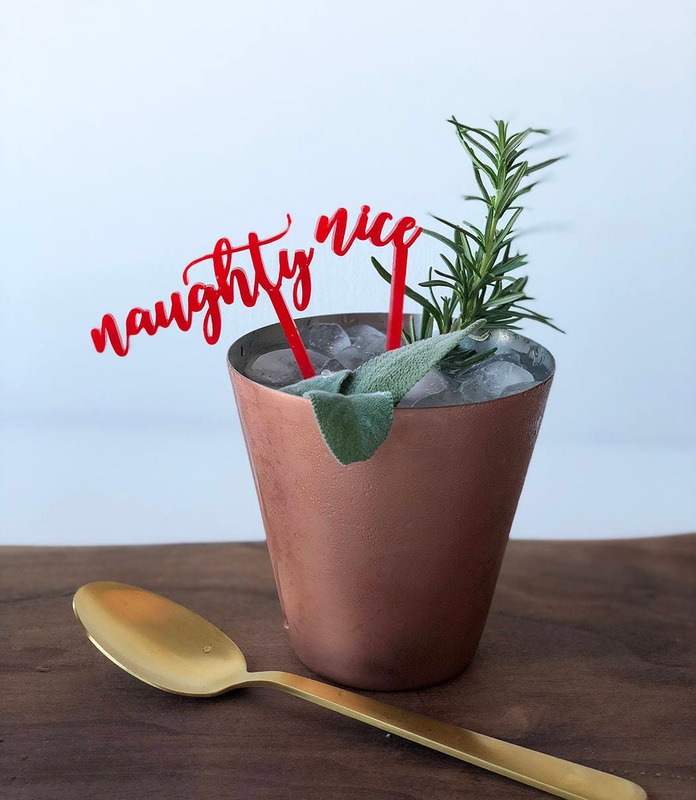 A dozen stir sticks- 6 Naughty & 6 Nice... let your guests decide which they'd rather be! The size is approximately 2.75" wide for naughty & 1.25" wide for nice. Stick lengths vary. 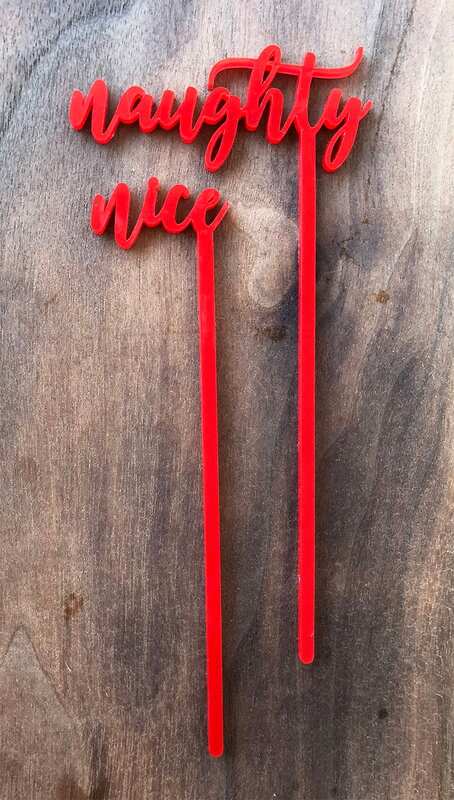 Our stir sticks are laser cut from 1/8" high quality acrylic.